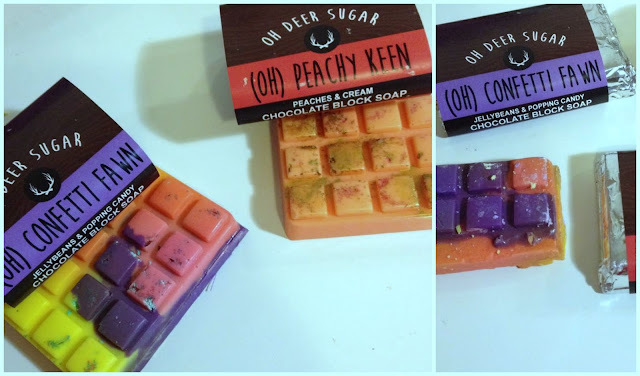 Chocolate Block Soaps: I picked up two of these, there were more I wanted but as a trial I just grabbed two different kinds. There is a more masculine scent called 'Mountain Stag' oh my goodness it smells delicious and I want it so much! The two I picked up were Confetti Fawn and Peachy Keen. They both smell delightful, not overpowering at all. Confetti Fawn is very sweet with actual popping candy inside. I was not expecting that at all! Peachy Keen has some gold glitter but it doesn't transfer onto the skin so much, because once you wash yourself, be it body or just your hands you obviously wash off the soapy suds residue, its not like a big old bath bomb where you get out of the bath looking like an extra from twilight. The soaps lather up really well, but because of this, it results in the product being used up more quickly so if this is an all over body soap just keep that in mind. I only use them as hand soaps so I still get a decent amount of life out of them. They also leave a pleasant scent on the skin. 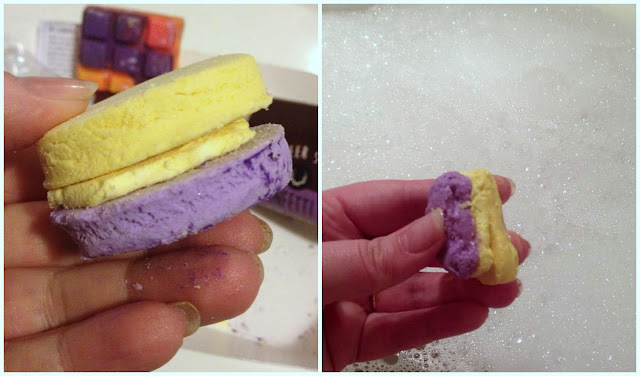 Bubble Bar Macarons: One of the things that I love about the store is that when there is 'faulty' product i.e product that is oddly shaped or 'ugly' is still put on sale but at a discounted price. It still works as well as the 'proper' product but basically half the price! I picked two of the 'ugly' macarons in the scent of Passionfruit & Floral. They were only $2.00 each. So if they have more of the deformed ones when I go in store again, I'm going to pick up a heap of them! Bake house Bath Bomb. This particular one is a 'two or one' product. The pink bit in the middle can be pushed out (in my case it wouldn't wiggle out so when I chucked it in the bath the fizzing of the bath bomb shot it out so just pick it up when it does that) and used as a bubble bar so you have fizzy nice smelling bath bomb and then some great bubbles! YAY! I'm definitely going back and getting another one of these! 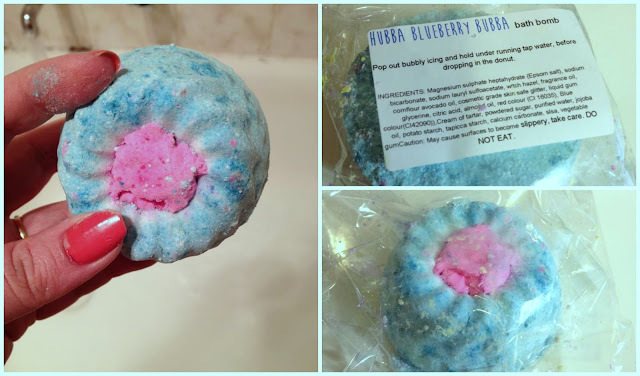 This is the Hubba Blueberry Bubba bath bomb. It smells so lovely and turns your water a nice shade of aqua blue. It smells berry/fruity and sweet without being overpowering at all. When in the bath it coats your skin in a silky smooth layer of deliciousness. It doesn't feel gross or slippery at all and when you get out of the bath there is no slimey residue and once you wipe yourself down with a towel your skin is left feeling super soft. Thank you so much for reading and let me know if you check out their site/go in store! I hope you enjoy them, and this new series about Australian companies! I would like to say, THANK you to the Marion LUSH store for this awesome opportunity, you guys are great and I hope more things like this happen in the future! LUSH has opened a new store in the Westfield at Marion (Adelaide, SA) and I was lucky enough to get a look! On Friday the 14th of August, myself and a number of other Adelaide beauty bloggers were invited to an after hours blogger event. The only other Lush store in South Australia is the one in Adelaide City itself so it was high time to get a new one! To be honest, I buy the majority of my Lush products online, simply because the city store is ALWAYS packed. The new Marion store is around the same size, if not maybe a little smaller, however they've used the space to their advantage. The space has quite high ceilings and the shelves almost reach the top; this is optimal for storage and also a good display of products. BATHBOMBS AND SOAP AS FAR AS THE EYE CAN SEE! As far as actual product displays I think they've done a pretty good job, this is pretty standard of LUSH, they always have gorgeous displays. I love the look of the wooden shelving and cupboards. Its earthy and natural looking which is totally 'Lush'. The use of the glass bowls for displays make it seem like the products are floating, there is nothing blocking views or stealing the focus from the products. I think that if the containers weren't transparent the store would feel a lot more crowded. Smart thinking Lush! As this was an event, there was some food provided. All the food was vegan, which I am not, but I eat a lot of vegan/vegetarian meals and I'm not gonna say no to free nibbles! The food was delicious, there was some kind of pumpkin/curry puff. I miss it just thinking about it. The structure of the event was really easy and natural, and it was so enjoyable. I was there with my bestie and fellow beauty blogger Sarah, aka Pastelsparkes and we went roaming around together. As soon as we walked in we were greeted by one of the nicest people on the planet. Her name is Casey and we just started chatting like we've known each other for years! All of the employees at the Marion Lush store were SUPER NICE! I feel like we're all best buds now. We were officially welcomed by Kanya - the PR coordinator; Another super nice human being! She gave a little speech and told us all about the company of Lush and I took away so much information about the company that I didn't know. I had no idea how charitable and environmentally friendly they were! Its amazing! After the speech we were notified of three 'stations' around the store. The first was a product creation demonstration, the second was all about the charity pot and the third was demonstrating the massage bars! Sarah and I first went to the station all about the Charity Pot. 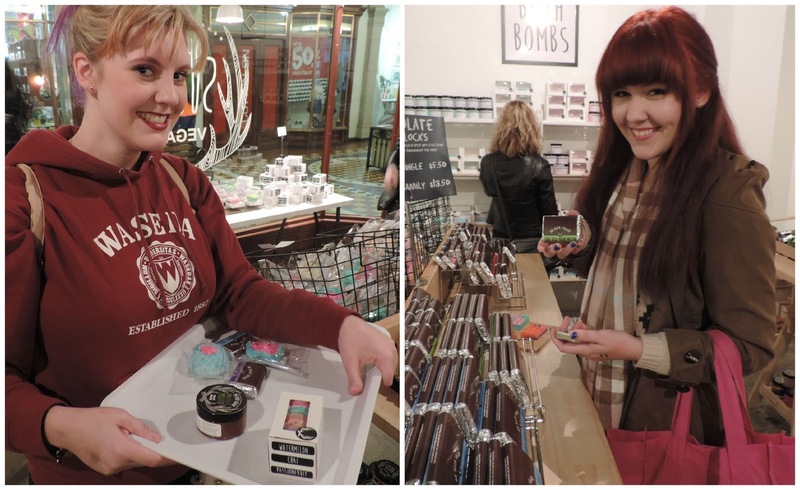 We got to sample the product and we were told everything about the grass roots charities that Lush supports. All the money from sales of a charity pot go to the certain charity. I thought that was really cool. The left most image from the picture above, you can see the charity pots and the scarves that are the 'Knot Wraps'. We were shown how to tie them a few different ways. The knot wraps are something that I love the idea of and if I ever buy a Lush gift for someone, I'll get them wrapped in the knot wrap. The second station we went to was the massage bar demonstration. The person giving the demonstration was Casey, the girl we first talked to when we walked in. She offered each one in the group a selection of massage bars and we were all shown how to use them. You can see the demonstration in the top right corner of the image above. The massage bars are such a great idea and by the looks of it, something that will last a long time. The product melts into your hands with your body heat and thats all you really need for a section at a time. I would like to explore the range a bit and find one that I love so I can always use it! The third station was the product creation demonstration, but because this was our last stop, we missed the demo, but also because it was our last stop, we had the rest of the time to talk to the girl who did the demonstration about what she'd made. Her name was Akira and she was so lovely, she showed us step by step how to make the 'Angles on Bare Skin Cleanser' and also told us all about the fresh ingredients etc that go into the product. She was also nice enough to give Sarah and I each a hair consultation. When I found out that I would be going to Lush, I knew I wanted to pick up some hair care items. 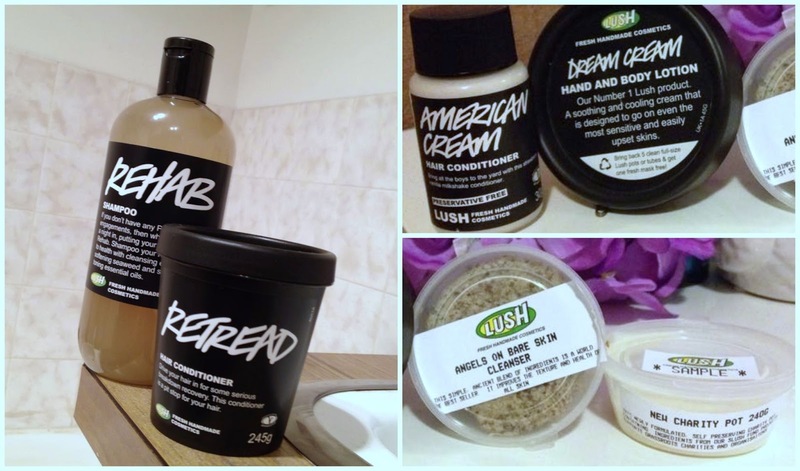 We chatted for about half an hour about products specific to our hair type, the hair care products that lush has to offer and things that she personally recommends. I didn't feel like I was being sucked into a sales pitch at all and I was so happy with her suggestions. It was at this point that Kanya came around and told us we could pick out an item from the store that we could take home with us. After the amazing hair talk with Akira, I knew I was bringing home something from that, she recommended the Rehab Shampoo and said for me to get the biggest bottle because it was a gift. I didn't even think about that, I was going to grab the small one because that is the one she was showing us in the demonstration. I also picked up the Retread Conditioner and paid for that with my own money. I look forward to trying them out and I'm sure I'll do a review once I've used the products up. Along with the free product of our choice, we were also given a little goodie bag full of samples that I cant wait to try, including the Angles on Bare Skin Cleanser that was made in store that night. The free gift (rehab) and the conditioner I purchased (retread) and the goodies we got to take home. I would like to thank everyone at the Lush store Marion for being so wonderful and informative, especially Akira, Casey and Pamela! <3 An extreme special thanks goes out to Kanya for running the event. Honestly, this was such a great night and because of this I'm sure I'll be shopping at Lush and referring my friends to Lush for ever now! Now if you're a follower of Pastelsparkles and Newbytobeauty (and you should be) you will have already seen some posts about Oh Deer Sugar, so strap yourselves in you're about to hear some more! What started out as an online store has now transformed into a 3D, real life store where your senses can roam free. The store has the perfect mix of a modern meets industrial feel to it with the clean white shelving and smooth lines and the concrete floors and exposed pipes in the ceiling. What is 'Oh Deer Sugar'? Oh Deer Sugar is a company dedicated to 'food for the skin' as it says in the window. They supply hand made bath time goodies that will make you want to run around in the dirt just so you can get clean again. 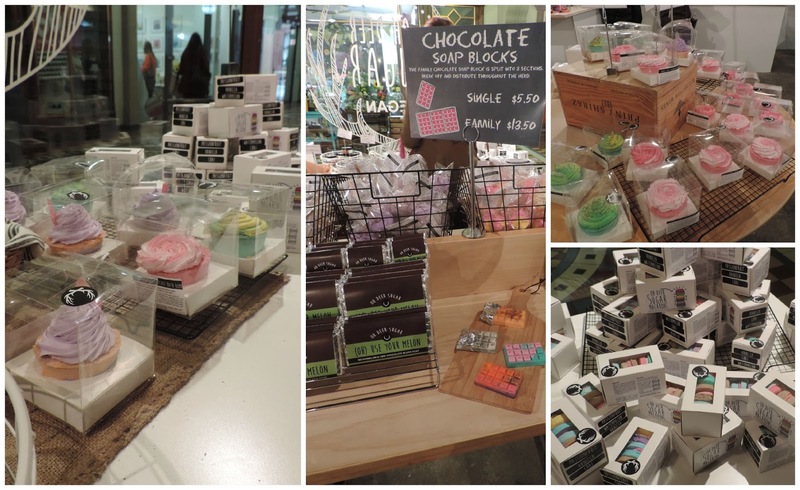 A mixture of bath bombs, body scrubs, face masks and more, all vegan and all 'foodie'. Oh Deer Sugar is an 'NON-edible bakery' - no matter how good they look and smell (oh my 'deer' lord, the smell) they're not for eating. What products can I get? 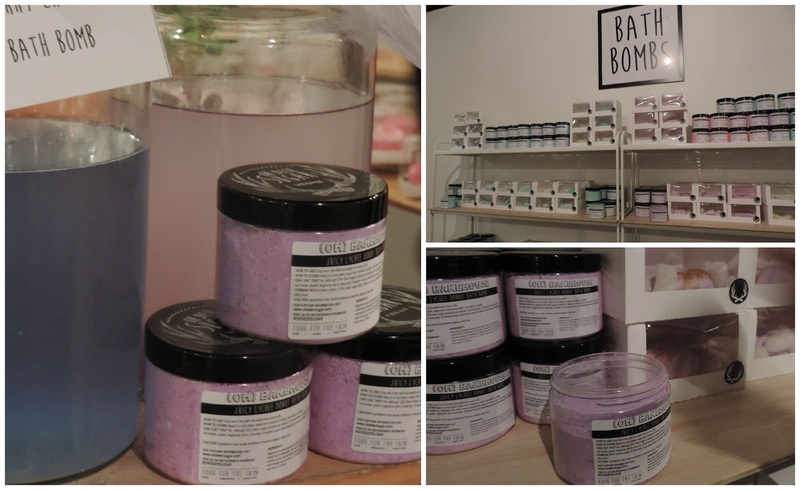 Bathbombs, bubble bars, scrubs, soaks, masks and more! Check out their Facebook Page for photos and their website for their products. If you're in Adelaide, I recommend you going into the store for yourself. I had a shopping day with two of my best friends and fellow bloggers, Sarah and Zoe (Pastelsparkles and newbytobeauty). We spend at least half an hour in the store circling it and going back and forth through the isles finding something different each time. I'll be writing up another post soon with the products I picked up, I want to use them for a while so I can give you a review on them. Right now I'll show you some pics though! Zoe and Sarah shopping up a storm. Because it is a 'non-edible bakery, it is set out like a 'food' shop is and I love that they have little trays similar to the ones you get when you go to 'BreadTop' for you to carry around your products instead of putting them in a basket. Which I totally understand, because some of these are way too fragile to be knocking around in a basket against the walls etc. For the loose products they have little containers similar to 'take away' containers to put your products in. Its just the little things like this that bring it all together. Bath Bombs GALORE! Walls lined with delicious bath treats! BOMBS AWAY! I love how if you like a scent of one thing, it is almost always offered in the other products too! (the really popular ones anyway) There is a huge wall that is filled with bathbombs that are just waiting for me. haha The bathbombs come in solid form and also a powdery form which I thought was really interesting. 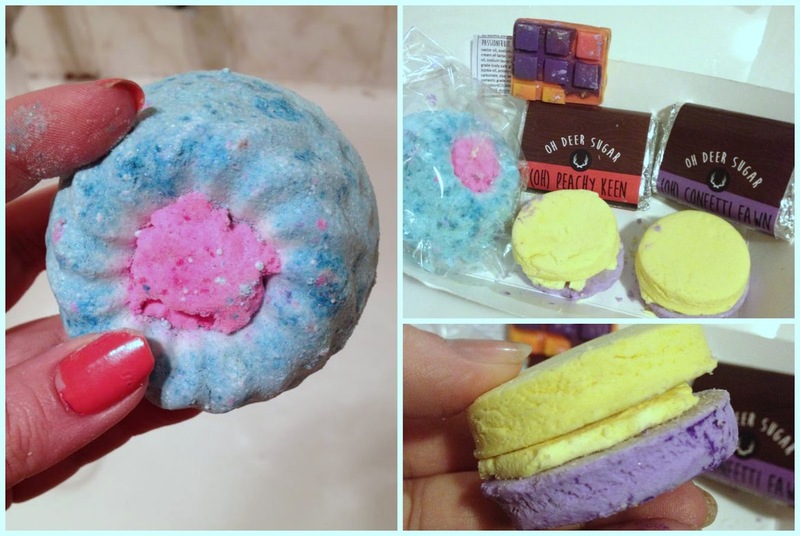 Bath Bombs, Soaps and Bubble Bars! Everything is laid out so nicely its easy to get to and the signage is great. I really liked how there was room to move in the store. No squeezing past people, the isles were easy to walk through with your tray and in my case my handbag swishing around at my side. I will have a follow up post about the products I picked up so keep an eye out for that, and also this post and the review will be apart of a new series I'm doing on my blog about Australian companies. I look forward to introducing you guys to a heap of new stores! So to put a not so long story even not so longer, I'm going to be getting products (with my own money) from some probably not so well known Australian companies. To put that not so longer story in to context: Every time someone likes a photo of mine on Instagram I ALWAYS check out their profile. I've noticed that I've had a few companies (purely for promotional purposes I'm sure) like a few of my photos. When I check out their page and I like what I see, I make a note of it. I've done this a few times now and I thought to myself "Caitlan, just get some dang products and see for yourself!" so thats what I'm going to do! I'm going to be getting a few products from each company and I'll test and review them. This is mainly to expand my collection of things beauty to some of the 'underdogs' but I also love finding new companies and if that means that they get some more business, then yay? Logo photos of the companies. Soda & Co: -Body wash, lip scrubs and hand creams. Vice & Velvet: -Homemade soap, bath and body products. Black Arrow Candles: -Handmade exotic / indie soy candles. tmf. (the makeup foundation) -Makeup and cosmetics. Oh Deer Sugar: - Handmade, vegan, food for the skin - bath and skincare, pamper yourself delicious. I'm planing to buy a few products from each place, ones similar to others if possible so I can compare, but mainly because I want to try a range of different items that I've not used before. Obviously price does come into it, and also if there isn't much of what I'd actually use, I'm not going to buy products that I don't have an interest in. To kick this off, I've already got my products from 'Oh Deer Sugar'. They've JUST opened up an actual store and I was lucky enough to get in and scoop up some products to trial. I'm so excited. There will be a post about the store opening and then ANOTHER Oh Deer Sugar post coming up about the products themselves! So stay tuned for Thursdays post about that and then the Thursday AFTER that for the product review! I've got some posts coming up that I'm super excited about including my very first 'Blogger Event'! Going on a NO BUY! Time to put my saving pants on! I've done some pretty (for me) extreme spending in the last few months! (there will be a haul post and video coming soon) Granted it wasn't all for me, June and July just seem to be the months of never ending birthdays for me, but spending did happen and I've got some things coming up that I want to save for - not to mention CHRISTMAS IS RIGHT AROUND THE CORNER! So, I'm putting myself on a 'NO BUY'. I got the idea for this post after my good friend Zoe posted about her going on a no buy, we go shopping together all the time and when we're together we have a knack for justifying purchases to not only ourselves but each other, so with us both on a no buy our wallets should be safe (yours too Sarah). Repurchases are acceptable - Foundation, Eyeliner etc the necessities. Something that I've taken time out and saved for - NO spur of the moment purchases. If its something that I don't have and its limited edition/clearance and not likely to be sold again, a justification can be made. 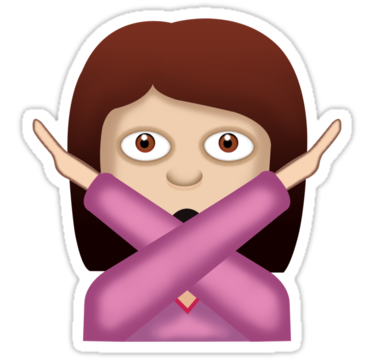 Have you ever gone on a 'No Buy'? How long did you last!? Just a short little post for today, thanks for reading! No, I'm not an author bringing out a new book. If you like to write lists, and doodle on pages, this might be something for you. I thought I might share with you a project that I've been working on lately. Its something that I hope you'll enjoy, you can take this idea and put it towards all of your hobbies. One of my hobbies happens to be playing with makeup, so if this isn't one of yours, I hope you can apply this idea to something that suits you. I am someone who loves to write things down. I'm a list maker. I love art, and I love working with ink - be in calligraphy or just your general pen, I enjoy the art of handwriting so I decided to combine all of these things and create a work in progress called my 'Beauty Book'. It is a place where I keep wish lists, and blog/video ideas all nice and neat - I'm not one to use the 'notes' section on my phone. I find that very impersonal and I like to talk (to myself) in notes. It is no way complete, but I'll show you what I have so far. I hope you like it. The book is actually from Ikea. I think it was about $4? ish, not very expensive, otherwise I wouldn't have picked it up. The main reason I liked it is that it has blank pages. It comes with an insert that has lines on one side and a grid on the other so you can slide it under the page you're writing on so you can write in a straight line etc. I think thats pretty darn cool. (it took me a while to figure out what it was for though) The name of the book from Ikea is the 'Tjenis'. It comes with a few different colour schemes on the front cover. As I said, you can take this idea and apply it to your hobbies. Its basically a place I can jot down my ideas and keep track of the lists of things I want to buy. Now yes, there is a hell of a lot of stuff on there and don't worry, I'm not a massive spender, I believe in moderation and I have recently purchased things from the 'Makeup Wishlist' page so I will have to cross them off! 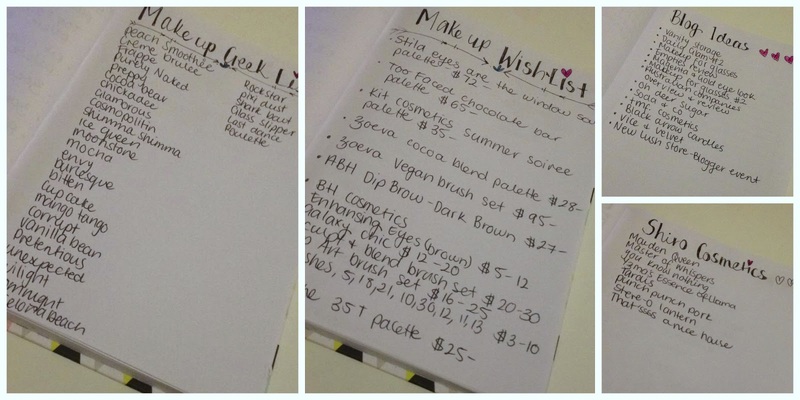 I have many pages that are the same 'Makeup Wishlist #2' etc but for the sake of boring photos I didn't include them, I just wanted to show what the pages look like. Now, whilst I love art, I'm no artist and my hand writing is a little messy at times (times like in this book it seems) I love typography and that style and yeah.. thats why I have it how I do. On the blank pages (because I'm not writing back to back) I think I might cut out things from magazines / catalogues and make arty fancy mural pages to bring some colour to it. I hope you like this idea and if you do use it for something, be sure to send me a pic because I think that'd be just awesome! Like I need another reason to go into Priceline, right? I picked up these two moisturisers that I've been eyeing off for a while. I saw the 'Hydroboost' range when they first came into Priceline but told myself I had to wait until my bank account was ready. (Yay discipline) I picked up a day cream and a night cream. Those are my favourite products to use as they're low maintenance! However, there are two other products in the Hydroboost range that were sold out when I was shopping that I'm quite interested in getting. ANYWAY! Lets get to the product and why I like it! Back Story: I have dry skin. I suffer from the occasional breakout (hormonal or bad food etc, but not a great deal) and some redness but other than that my skin is ok. Its just super dry. I combat this with moisturisers and they've been working in the past but I noticed that a lot of my skincare is actually by Neutrogena and I thought why not go pokemon on this and catch them all? So I decided to pick up these! I love packaging of skin care! Its so cute, but chic and classy. The jars are simple and are really pretty shades of blue. They look lovely on my bathroom vanity. Inside each jar is a plastic cap/protector which I think is nice, it has a little 'handle' so you can easily remove it. Water Gel: This is what I'm using as a 'daily moisturiser'. "With innovative Progressive Release System, Neutrogena Hydro Boost Water Gel continuously releases moisture for a full 24 hours. Its light-weight gel cream formula with Hyaluronic acid and Olive extract doubles your moisture levels in just 1 hour, for soft supple skin with a healthy looking radiant glow." So basically there are a lot of long words in that little passage but that is whats written on the box, but I gotta tell ya, they're on to something. It also says to 'apply generously and evenly over the face and neck daily after cleansing.' So thats what I do. I cleanse my face etc in the morning and then slap a good amount of this on. It soaks into the skin so nicely. It doesn't feel like there is a film on your face and it doesn't go sticky or tacky either. I honestly think it does double the moisture in the skin within the first hour and keeps working for a full 24 hours. It brings life back to the skin with a natural, healthy looking 'glow from within' vibe. Night Concentrate: This is what I put on my face right before bed! 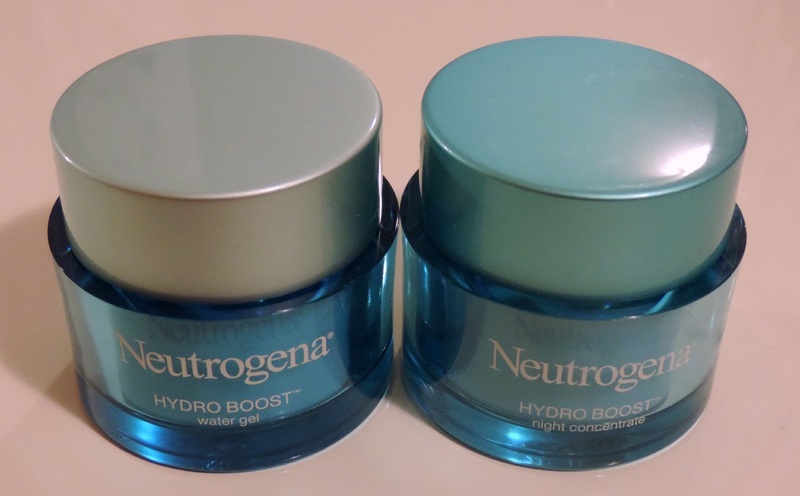 "As skin cells renew at night, Neutrogena Hydro Boost Night Concentrate is specially formulated with Progressive Release System to continuously release intense moisture as you sleep. Vitamin E enriched beads combined with Hyraluronic Acid, Olive Extract and Iconic Mineral complex help to enhance skin texture and visibly reduce the appearance of fine lines, so you wake up to amazingly hydrated, soft and supple skin." Much like the day gel/cream this has a lot of big words and claims to do a lot. I don't really have 'fine lines' (that I'm aware of, if you see some, don't point them out, ignorance is bliss) but I do believe this would help with them! Once I put this on of a night time (this also says to apply nightly after cleansing) my skin soaks it up and loves it! It doesn't feel sticky or anything and it doesn't wipe off or transfer on to my pillows or anything which I'm happy about. The thing I care about the most is that when I wake up my skin feels so soft, smooth and plump? if thats a good adjective. The product itself is really nice. 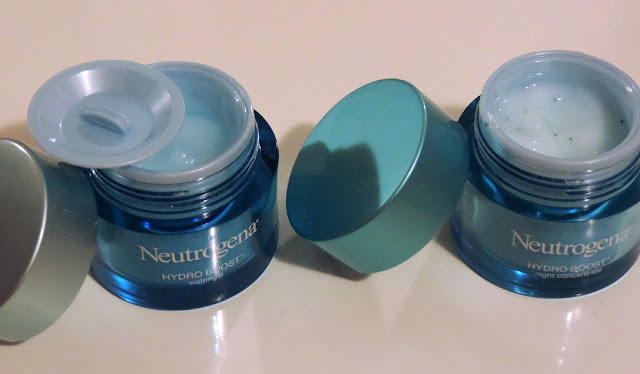 The Water Gel (day cream/gel) has a blue look to it but it applies clear. It feels so nice so apply to the face. It feels cooling in a way, I can't wait until its summer to feel how refreshing this is. The Night Concentrate is more creamy than the Water Gel, but the feel equally as smooth and nourishing to the skin. The small blue beads in the Night cream aren't hard at all, (like you'd find in some exfoliators) they melt into the skin without leaving any blue residue. There is a smell to this product, it smells like faux cherry… like the medicine you had as a child or cherry starburst (thats what I think anyway) but it doesn't linger for long and I don't mind it so its not even an issue for me. Both of these are: Dermatologist tested Allergy tested, Oil-free and Non-Comedogenic. Final Thoughts: I've been using these for about a two months now and I'm loving them. I've had no reactions, my skin looks radiant, even under makeup - oh and makeup applies so beautifully over the top of the daily gel. The main problem area I had for makeup was my nose and my foundation applies so nicely over the top now. It feels nice to have a 'dewy/glowy' look to my skin when usually it was just dry and almost flakey. I think I might even start using 'Matte Foundations' and see how my skin looks/feels using the Hydroboost before application! Thanks for reading! If you have dry skin and dry these products, let me know how you like them, or if you have any suggestions for your fave products leave them in the comments, I'd love to try them!